This is the annual educational program for the Thai-American Physicians Foundation. The theme of this year’s conference is an update in selected topics in Medicine and Pediatrics. There will also be an oral presentation session in the afternoon where invited trainees will have an opportunity to discuss research projects with course faculty by oral and poster presentations. The learning objectives of this course will be accomplished by didactic lectures, interactions with course faculty and oral presentations of research abstracts on various topics in medicine. The Thai American Physicians Foundation and Emory University. Please see individual learning objectives listed by each of the guest speaker’s lectures. This activity has been planned and implemented in accordance with the Essential Areas and Polices of the Accreditation Council for Continuing Medical Education (ACCME) through the joint sponsorship of Emory University School of Medicine and the Thai American Physicians Foundation. The Emory University School of Medicine is accredited by the ACCME to provide continuing medical education for physicians. The Emory University School of Medicine designates this live activity for a maximum of 7.5 AMA PRA Category 1 Credits(TM). Physicians should only claim credit commensurate with the extent of their participation in the activity. Course tuition is $200. A special rate of $100 is available for trainees. Tuition includes Friday night reception, breakfast and lunch on Saturday. Additional fees will apply for other meals and activities. Written cancellations should be received by TAPF at least 1 month prior to the program and will be refunded less a $25 administrative fee. Attendees should register by June 1. Late registration will increase to $225. Registration is available online at http://www.regonline.com/TAPF2013. All sessions will be held at Renaissance St. Louis Airport Hotel, 9801 Natural Bridge Road, St. Louis, Missouri 63134 USA. 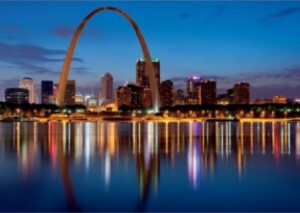 This hotel is conveniently located near all of the downtown St. Louis attractions. Visit http://www.marriott.com/hotels/travel/stlsa-renaissance-st-louisairport-hotel/ to learn more about this hotel. We have a special group rate is $79 for Deluxe rooms. Suites are available upon request. This rate does not include taxes or meals. Guests should call 1-888-236-2427 and mention that they are attending the Thai American Physicians Foundation/Emory CME conference. Guests are encouraged to make reservations as soon as possible and no later than May 1, 2013. Attire for the conference is business casual. Since meeting room temperatures and personal comfort levels vary, please bring a sweater or jacket to the educational sessions.